Faster, more dependable Wi-Fi connectivity that’s affordable is fundamental. It must cover large campuses, yet reach every corner of a classroom. 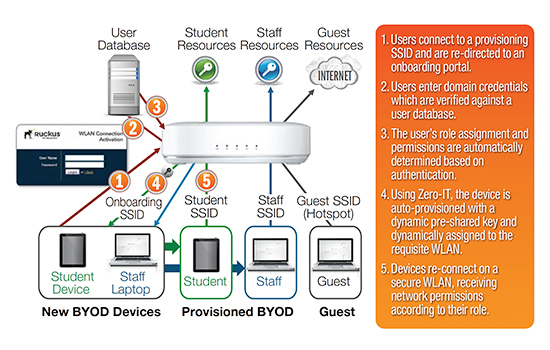 It must support multimedia applications while providing secure connectivity for staff, students, and guests. Limited budgets and IT staff mean that educators need a new approach. Ruckus Smart Wi-Fi 802.11ac access points pass the test with flying colors. 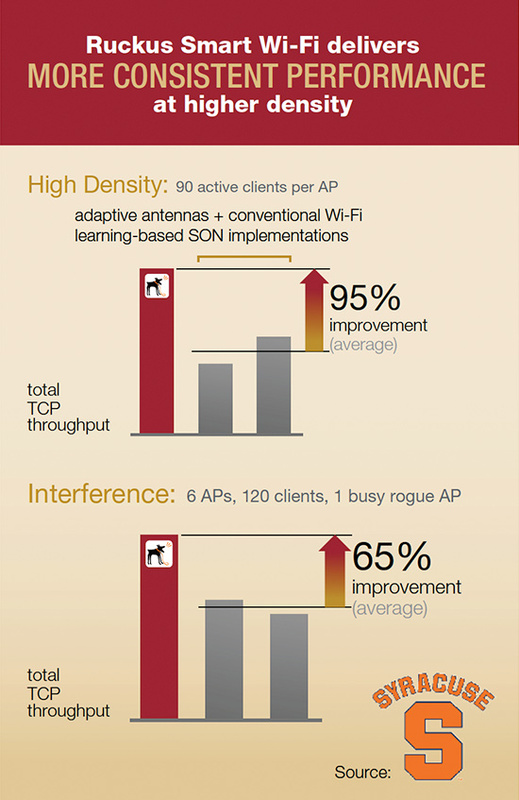 Patented adaptive antenna technology gets users on and off the wireless network quickly. In addition, capabilities including: client load balancing, airtime fairness, band steering, and per user rate limiting ensures hundreds of users can access a single access point that delivers reliable and fast Wi-Fi connectivity. Ruckus Cloudpath bridges the gap betweenenterprise-grade security and personal devices to create a secure and simplified Wi-Fi experience that allows BYOD to be adopted in a scalable, secure, and user-friendly manner. Cloudpath utilizes standards-based security to work with existing infrastructure and provide full functionality with any Wi-Fi solution. Cloudpath solutions delivers secure, reliable connectivity around the globe. A growing need across education is the ability to easily and securely on-board many different devices. Cloudpath provides industry-first support for Chromebooks, the fastest growing in-classroom platform. 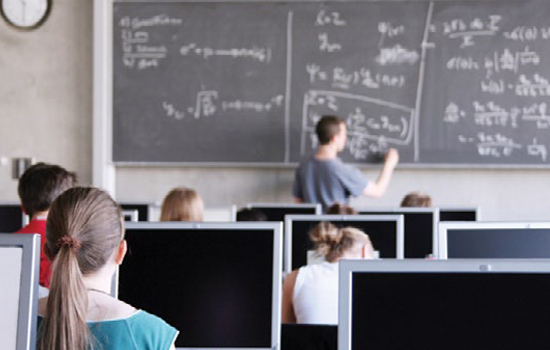 For many educational institutions, Ethernet is not ubiquitous. What about portables, cafeterias, auditoriums, assembly halls and stadiums? 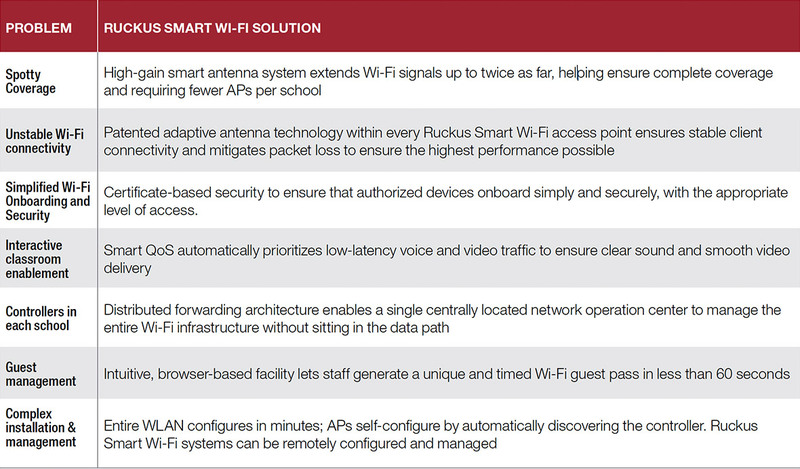 Unlike other WLAN solutions, the Ruckus ZoneFlex system employs SmartMesh Networking, allowing schools to easily add Wi-Fi by simply plugging APs into a power outlet. This eliminates adding additional Ethernet cabling and unnecessary expenses. An advanced smart antenna array ensures unprecedented reliability for the mesh backbone, minimizing packet loss, steering signals over the fastest paths, and increasing range between mesh nodes. Manufacturing today is driven by information. Ubiquitous access to wireless networks is necessary to drive productivity. 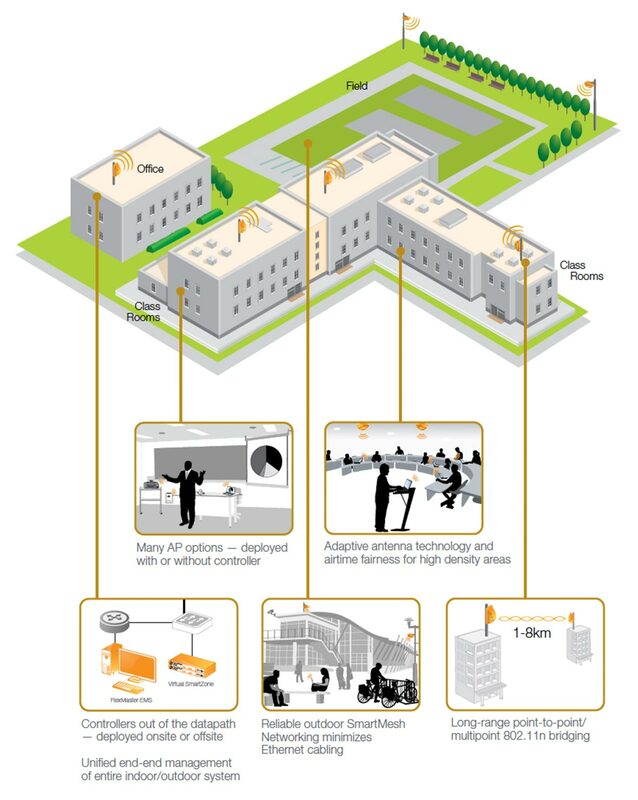 Manufacturing processes and factory structures often create an environment hostile to Wi-Fi. This is why Ruckus Wireless and its BeamFlex beam forming technology shine in the factory environment. Ruckus also offers simple and effective building to building network bridges to link together remote structures on a factory campus. Contact Omaha Communications for a free assessment to find out more about how our Wi-Fi solutions can make your factory more productive. strength and wireless reliability. 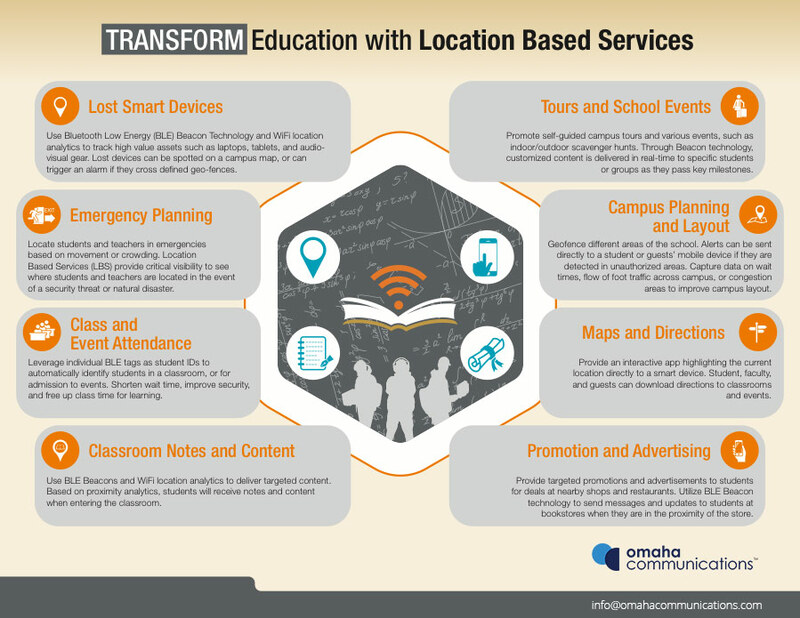 With Ruckus Wireless, Columbia was able to futureproof their network to meet growing student and faculty needs. 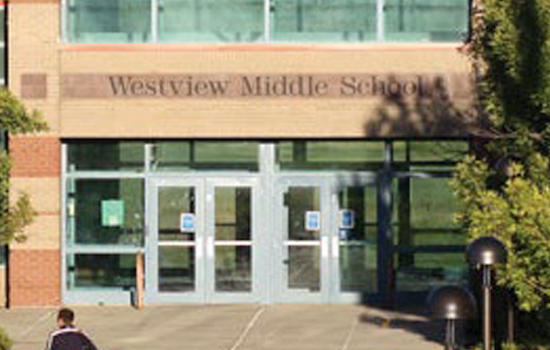 Video has become an essential application within K-12 environments. IP-based video cameras and streaming IP-based video content over Wi-Fi is now taking center stage. Our heritage as a company has been focused on supporting IP-based video over Wi-Fi. Through the use of our patented adaptive antenna array and heuristics-based traffic classification and prioritization, the Ruckus ZoneFlex system delivers flicker-free video to laptops, tablets, and even televisions. Our products and technology have been uniquely designed to support latency-sensitive traffic types such as streaming HD video. Many schools pay exorbitant costs for running fixed broadband lines to each school or site. New 5 GHz 802.11n high-performance bridges effectively eliminate these recurring costs — saving schools tens of thousands of dollars each year. A pair of Wi-Fi bridges can deliver up to 190 Mbps at 1.5 kilometers and offers performance up to 50 Mbps at 10 km (LoS). 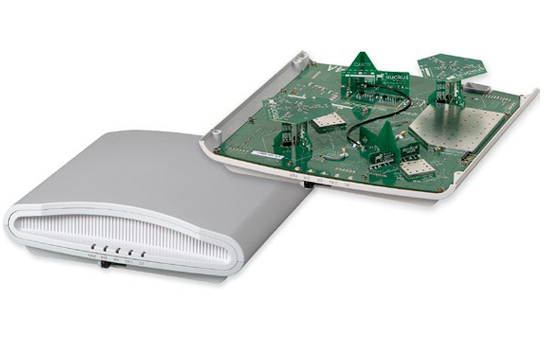 The Ruckus ZoneFlex WLAN system configures in minutes so you’re on time and under budget. Copyright © 2017 Omaha Communications. All rights reserved.